Recently, I was taking some college courses, and at the end of my semester, I had some college textbooks I didn’t need anymore. So as any college student would do, I figured I would sell them online, but before I put up an eBay listing, I figured I would test out the Amazon Textbook Buyback program to see how much they would offer me in comparison to doing it on my own. It sounded nice to just type in the ISBN and send the book on its way, all without dealing with anyone. I also wanted to see how they compare to other services that offer an instant offer. How did they match up? Before I dive in as to how the program works and if they are the best in terms of payout, I wanted to share a few tips that you should know about if you do decide to use the program. That way, if you do decide to use the program, you won’t be disappointed with the final results if you don’t follow the rules. So if you’re looking for cash, I hate to break it to you but you’re only going to get paid in Amazon gift cards which post to your account after Amazon confirms your shipment. If you do decide to send your books in, Amazon will let you print a prepaid shipping label at the order, in which you will take into your local UPS Store. Just bring your books into the store and the UPS Store will do the rest! Your book must be in fantastic shape, meaning the binding must be intact AND there shouldn’t be any signs of tears, water stains or highlighting. And don’t even think about tricking them as they will visually inspect your books upon arrival before issuing your gift card. If your book isn’t in the greatest shape, you’re going to be better off selling the book on your own. Play it safe and don’t send it in to save the headache of waiting. Status – How Long Does it Take? It can take up to six business days after the books arrive at an Amazon warehouse before it’s processed for grading, and processing time can take an additional two days once inside the facility, according to the company’s FAQ. To be safe, plan on getting credit 10-14 days after you ship out the book to get your Amazon gift card credit. Even though Amazon may quote you $X, they could downgrade the price and offer you much less. When you choose to send in your items, Amazon will ask you what you want to do in case they do offer less. You can either choose to have them ship it back to you for free or you can accept the lower price. 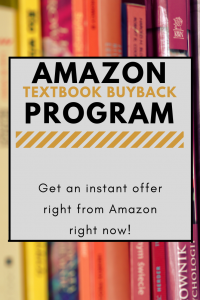 How Does the Amazon Textbook Buyback Program Work? Submitting a trade-in to Amazon was extremely easy. The very first thing you’re going to want to do is head to the official Amazon Trade-in Store. After you click on the “Textbooks” button, Amazon will then present you with a list of books, as noted in the screenshot below, but you can ignore this. Chances are your book won’t be on the list right way, but don’t fret just yet since you can search for your book inside of the search tab at the top. Now, when you’re searching for your textbook, you can search by the title, but I recommend you use the ISBN to ensure you’re getting an exact match. Amazon will ask you to confirm this number later on anyways. This number, 10 or 13 digits long, can be found on the back of your book near the barcode. As you can see, Amazon was willing to offer me $10.44 as a trade in for my book, and if you’re happy with the trade in offer, then Amazon will want to know a pinch more about the book. Now before you get excited with Amazon’s offer, make sure you read my comparison at the end to make sure it’s worth it and how Amazon stacks up to the competitors. HINT: Amazon WAS NOT the best offer. 3. What is the Condition? Is the cover and binding intact? Are any pages torn and/or have major wrinkling from water? 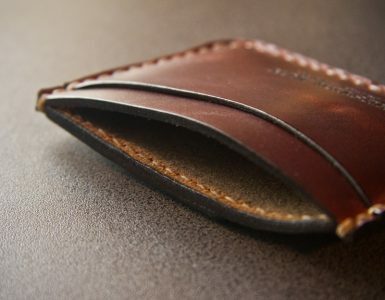 Are there any notes or names on the cover? Do the pages have any excessive writing or highlighting? In some cases, if the book is in poor condition, don’t be surprised if Amazon doesn’t want to buy back your book. For example, when I checked “yes” for torn pages, Amazon did not want it. The same was said if I checked yes for notes or if any excessive writing/highlighting was noticeable. In short, you need to make sure your book is in excellent condition in order for Amazon to accept it. Again, as I mentioned, don’t try to trick them as someone will physically inspect your book to ensure it’s in good condition. After you verify that the ISBN is correct, you can then continue, again, as long as you check “no” for all of the questions, with the exception of the cover and binding being intact. After you answer a few questions and confirm the ISBN, Amazon will then want you to confirm the trade-in and drop it off at a local UPS store. You can use this UPS search tool to find a location near you. Confirm the trade-in, print your shipping label, take it to a UPS store and wait for Amazon to receive it. As a note, you can bring your book in as is and your local UPS store will be able to package it for you if need be. Just make sure you print the shipping label Amazon gives you so that you don’t pay any shipping fees. Then, once shipped and Amazon confirms the book’s condition, they will add the Amazon gift card to your account, all of which takes up to seven days after shipping. Your timeline may vary, however. 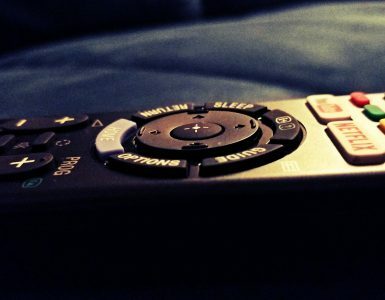 Now, Amazon isn’t the only player in town as there are a TON of competitors in this space. And if you’re looking for an offer right now, I highly encourage you to check out the following companies to see if they offer you a better deal than Amazon because, in some cases, they will. For example, in my 550+ ways to make money online guide, TextbookManiac, out of all the competitors mentioned below, offered me the best buyback offer; however, this is greatly dependent on the book you want to sell, so do keep that in mind. TextbookManiac, in this example, didn’t even want my book, so I can’t stress it enough that your results will vary. 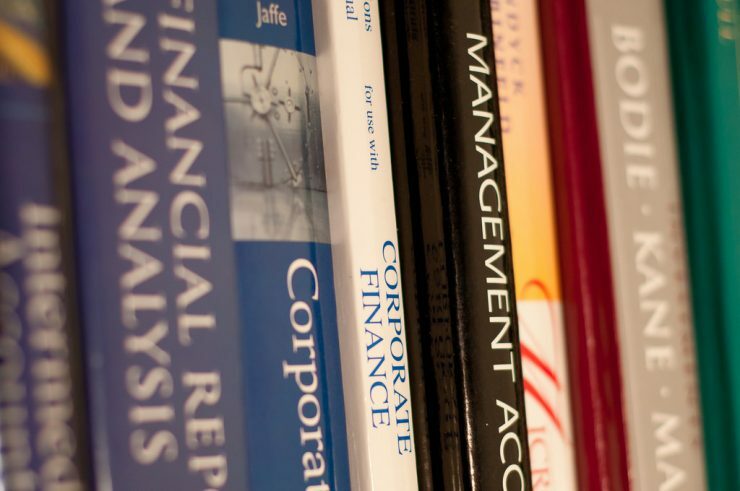 One of the only big-name bookstore corporations left, Barnes and Noble will buy back your textbooks, but they do ask that you sell at least $10 in books to qualify. To get a quote, locate your ISBN, enter it here and get a quote. BookByte will pay you cash and even offer free shipping on all U.S. buyback orders as long as you send in $10+ in books. To start selling, enter the ISBN, title, author or keyword here and BookByte will offer an instant quote. Decluttr makes it so easy to not only sell your textbooks but other items as well, such as cell phones, CDs, DVDs, Legos and so much more. To start selling, head to the official selling page, click on the books tab and enter the ISBN. Like all of these websites, if you’re happy with the quote, complete the order and ship in your goods using the company’s prepaid shipping label. Shipping is free AND insured and payments are the next day after the company confirms your shipment. eCampus was quite competitive in my quotes, beating Amazon in fact! You can see the final results below. With eCampus, you can either receive an in-store credit or Paypal cash if you choose, the choice is yours. Head to the sell page, enter the ISBN and complete your order. Shipping is free! In my comparisons, eCampus has consistently come at the top in terms of competitiveness, so I highly recommend you don’t ignore this retailer. Knetbooks makes it fast, simple and profitable to sell your books in a flash. To get paid more for your textbooks, enter the ISBN here and ship the books off if you’re happy with the quote. Then, once the company confirms your order, you will get paid fast with their direct deposit option. As the URL implies, Textbooks.com sells everything textbooks. From buying to selling, the company wants to offer you an instant quote, locking your quote in for 30 days, one of the best lock in rates on the market today. To see what your book is worth, enter your ISBN here, print the free UPS label if you’re happy with the quote and wait for your cash to arrive, either via Paypal or check. In my research, while searching for book buyback quotes, I found BooksRun to be quite competitive to most of the quotes I did receive. And to sell with BooksRun, you do need at least $15 in order to sell. After checking out, print out the prepaid shipping labels and send within five days after creating the order. Bookstores.com offers two options when you sell back your books: either via Paypal or as a store credit. If you choose the store credit option, at least from what I saw, you will make about 10-15% more. All buybacks over $15 in value ship free. Follow the three simple steps on the company’s homepage and ship the books off if you’re happy with the price. CKY Books offers free shipping and pays cash for your textbooks as long as they are in good condition. To get started, enter your ISBN and accept the quote if you’re happy with it. You will need at least $20 to use the buyback service, a minimum that’s much higher than other companies on this list. Chegg, one of the biggest names in the textbook rental space, will buy your book for cash, claiming to offer “top dollar” for your textbook. This wasn’t the case for me, however. In fact, it was one of the LOWEST. Shipping is 100% free and most payments are processed in 10 to 15 days. The world’s largest independent bookstore, Powell’s Books, will buy back your textbooks and just about any other book for that matter. Offering two buyback options, either Paypal cash or Powells.com virtual credit, it appears that the store credit was about a 33% difference, making it a good choice if you wanted to shop the store. To see how much your books are worth, you can get an instant quote here. With over $10 million dollars paid out, you can sell back your books, DVDs and even video games to the website for an instant cash offer. sellbackyourBook always offers free shipping, a fast payment and has an A rating with the Better Business Bureau. To see what your books are worth, you can enter your ISBN here. 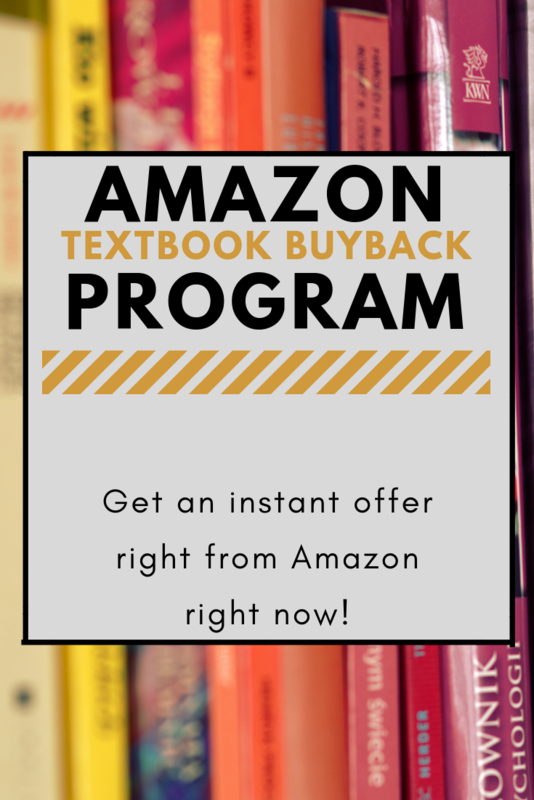 I used TextbookRush quite often in my college textbook buying days and found their buyback program to be quite competitive as well. They offer free shipping and your quotes are valid for seven days. Offering three payment methods: cash, Paypal or store credit, it’s up to you to decide which option works best for you. Like the other stores that offered store credit, you will get about 10% more if you choose this route, but I only recommend it if you plan on buying textbooks in the future. TextbookManiac made it pretty easy to sell your books as they present you with a search tool right when you hit the main website. Enter the ISBN and see what they can offer you, and as long as it’s in good condition, the company may want it. Unfortunately, out of all of the alternatives listed here, TextbookManiac did NOT want my textbook. Oh, well. But as mentioned, they did offer the best rate for another example I wrote about in the past. 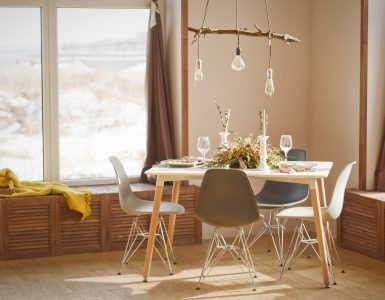 As the last Amazon Buyback alternative on this list, Valore Books will give you an instant quote and states they can offer you the most cash back on over 1 million products. Enter your ISBN, ship in the items (it’s free) and get paid via Paypal! As you can see, Amazon wasn’t the number one offer; in fact, they came in at #4, with eCampus the clear winner at $19.20 — a great buyback offer, seeing I could only get about $25~ if I sold it personally on eBay. However, this wasn’t the case in my 550+ ways to make money guide as the book I used in that example, TextbookManiac was the clear winner. Remember, your results WILL vary depending on the book you want to sell, so it doesn’t hurt to compare just to be safe. eCampus, for example, won’t always be the #1 buyer. From playing around with the Amazon trade-in program as well as comparing the prices to other competitors, it seems like Amazon will come close to the top, but a lot of times, they won’t come in as #1. Plan on seeing their rates to be in the top five, though. They are competitive. If you’re looking for the easiest way to sell books and want to deal with great customer service in Amazon and don’t mind an Amazon gift card, then the buyback program is one to consider. In the end, just keep in mind you may not be getting the best rate, but it will be pretty dang close if you’re looking for an instant offer. I just recommend you at least check out a few of the competitors I mentioned above to see if you can get a better rate. Or in the case you want cash, then, unfortunately, you won’t get it with the Amazon trade-in program unless you sell your Amazon gift card after receiving it. In this circumstance, you will want to try one of the providers above as most will send you a payment to your Paypal account. 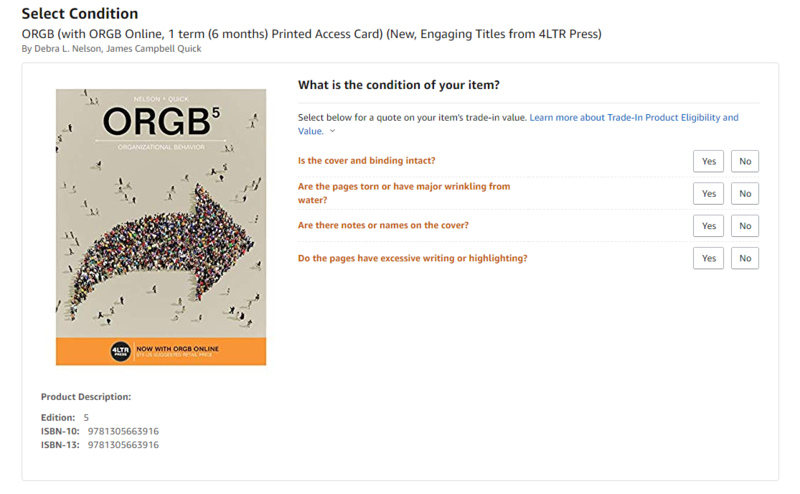 In conclusion, to get the BEST rate for your textbook, selling it privately, either on Amazon or eBay, is almost always your best bet, but if you want to avoid this process, I understand. Just expect these services to take about 20-40% off what you could get personally because, hey, they need to make a profit, too! Also, as a final note, do keep in mind that Amazon accepts more than just books via its trade-in program. You can read more about that program via my review here.